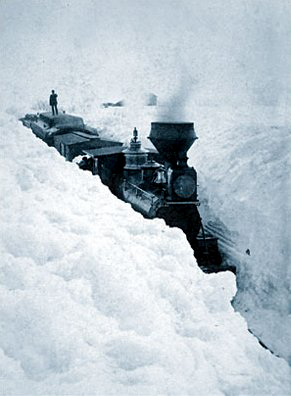 Snowstorm in southern Minnesota in March 1881. The challenges and tension of the past couple of weeks continue into this week, with the possibility of intensifying. 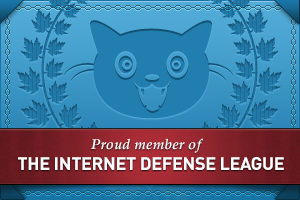 But there is also some good news, especially in the second half of the week. The cardinal grand cross that dominated the astrological charts on New Year’s Day remains close all the way into the weekend. Planets don’t “cause” events on earth, but earthly events do correlate to planetary movements. We can observe this happening around us every day. Throughout last week, drivers on the road were speeding and rude. You could almost see the waves of stress and anger in the air. A friend who normally is unflappable had personnel problems at work, exacerbated when a colleague called him a name with an expletive in front of the rest of the team. I experienced similar situations, nearly all to do with inappropriate or aggressive behavior. Anger and aggression are, of course, the domain of Mars, who is heavily involved in the cardinal configurations in the sky. The warrior planet is in peace-loving Libra, which really pisses him off. There doesn’t seem to be anyone to complain to or to help find resolution. Adding insult to injury, he’s going to be stuck is this mode until the freakin’ end of July. There’s not much of an outlet other than passive-aggressive behaviors such as speeding around and cutting off another driver or talking negatively about people behind their backs. I’m sure you can add dozens of examples. It’s not all that productive, but Mars doesn’t care. He just needs to vent, or the pent-up frustration will cause him to explode – all the more likely given his opposition to Uranus in Mars-ruled Aries. The moral of that story is that we can act out our frustrations with others in a passive-aggressive manner, or we can stop ourselves and seek out creative solutions. There may not be many options, and they likely will be hard to find. You may have to accept a compromise, a hallmark of Libra. As an intellectual air sign, Libra also represents a cool and rational approach – not exactly the way Mars would handle a conflict if he had a choice, so you might have to work to find a healthy balance between aggressive action and rational response. Difficult aspects involving Uranus also can correlate to violent, unpredictable, or unusual weather. That certainly is happening in the United States. Much of the nation is being affected by a so-called “polar vortex,” with a forecast of temperatures 30 to 50 degrees below normal. Jupiter, who also is moving closer into the planetary configuration, signifies expansion and enlargement, so it’s no surprise that whatever happens will be big or exceptional in some way. Mars forms an exact square with Jupiter on Wednesday, but Mars transits typically are felt a week on either side. In other words, we’re already feeling it. That’s it for the bad news this week. The good news is that there are several positive aspects, including a helpful sextile between Saturn in Scorpio and the Mercury, Venus, and the Sun in Capricorn. At the very least, we should have an easier time finding ways to cope with challenges. At best, there are possibilities for elegant solutions to problems we’ve been grappling with for the past three years. The configuration starts out right away on Monday with Mercury and Saturn in aspect and continues all the way through the weekend with the Sun sextiling Saturn on Saturday (Saturn’s Day). Saturn in Scorpio ruthlessly throws away what no longer serves you. Sometimes we feel stuck in situations over which we have no control, and that certainly is true for many of us now, especially regarding employment and finances. In some cases, enduring hardship may be a necessity, and fortunately Saturn and Capricorn represent exactly those qualities. Capricorn is ambitious and steadily works toward meeting goals. There’s no instant gratification here. But in trudging along, we sometimes forget to keep looking beyond the familiar for resources we may not have known existed. For example, I recently read that millions of Americans who qualify for the Supplemental Nutritional Assistance Program (commonly called food stamps)never apply. One explanation is the stigma of being on public assistance. In such a case, resourceful thinking might be changing one’s attitude to understand that Congress enacted this program precisely to provide a safety net during hard economic times. On Saturday, the Sun conjoins retrograde Venus, and both form a sextile with Saturn. Relationships and finances can be improved, with renewed commitment and taking responsibility, a sign of maturity. If you haven’t been getting what you want and need for longer than you can remember, it’s time to speak up. In some cases, that might mean coming to a conclusion that something has to end. That will be easier to cope with if you have positive self-esteem. 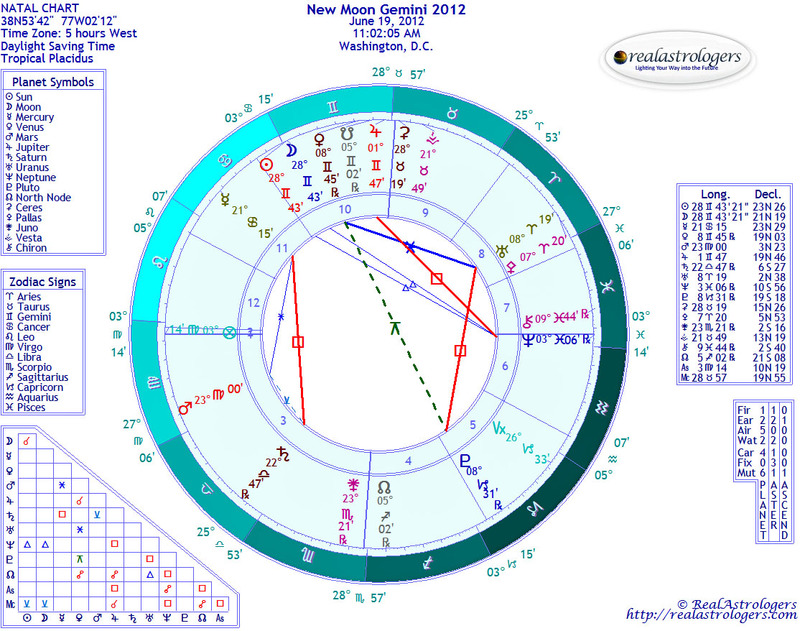 Under Saturday’s Sun-Venus transit, we can more easily explore issues of self-esteem and be more objective. Have you been allowing others to take advantage of you because you don’t think you deserve more? On the flip side, there does seem to be a thing as “too much” self-esteem. You know the type. They think they’re so wonderful that they should be first in line and get the best of everything. However, I suspect that underlying this sort of narcissism is a deeply insecure person who needs their self-esteem artificially propped up by others. For those who might need some help improving their self image, this is a good time to seek counseling. Scorpio is the sign of deep psychology, and under Saturn in Scorpio, we can do the hard work to dig in places we’d often rather not go. There’s also an astronomical and mythological facet to the Sun-Venus conjunction. If you’re in a location without too much light pollution, you may have noticed Venus shining brilliantly after sunset. As she approaches conjunction with the Sun, she disappears. When she reemerges later this month, she’ll be visible in the morning before sunrise. This change always occurs during her retrograde cycle. In ancient Sumer, Venus was associated with the goddess Inanna. 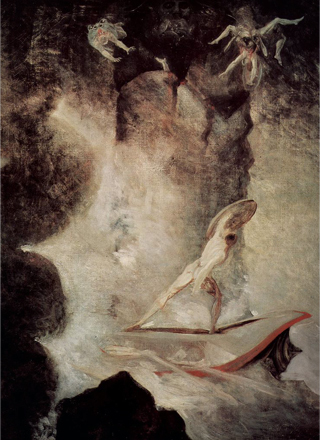 One of the oldest stories written down by humans is about Inanna’s descent into the underworld. There’s a theory that this myth is linked to the disappearance of Venus from the night sky and her reemergence as the morning star. Later on Saturday, Mercury enters Aquarius, one of his favorite signs. Mercury in Capricorn takes a conservative approach and likes the tried-and-true. Mercury in Aquarius thinks out of the box (and hates clichés). Creative solutions are even more accessible. Keep your notebook handy for flashes of sudden insight and inspiration. Chiron represents healing, and Pisces concerns the collective unconscious. Whether it’s apparent or not, healing is taking place, individually and collectively. In Greek mythology, Chiron was a wise centaur who overcame his traumatic upbringing and became teacher of gods and heroes. Everyone has a core wound, a separation of self from self that needs to be reconnected and made whole. Breaking down the barriers to healing can be painful, and sometimes we are scared to go there at all. … The greatest potential for deep healing can be found by looking at where Chiron is transiting your chart. Overall, this is a good week for healing issues related to self-esteem, values, and financial well-being. Identifying the source of a problem is the first step toward finding solutions. This entry was posted in Forecasts and tagged cardinal grand cross, cardinal T-square, mars in libra, Saturn in Scorpio, Uranus-Pluto square, Venus retrograde on January 5, 2014 by Pat. The week before the Christmas holiday is typically fairly quiet, but with this week’s dynamic astrological aspects, we’re going to see more than a few springs start to pop. Most of the action takes place on Tuesday, when Uranus in impulsive Aries comes out of retrograde a few hours after the Full Moon in hyperactive Gemini. Uranus has been moving away from the heavily charged square with Pluto, but as of Tuesday, he’ll begin moving back toward Mr. Intensity until they form the next exact square on April 21. Uranus and Pluto both like to break their toys – Uranus by throwing them at the wall or, better still, blowing them up; and Pluto by pulling off the moving parts slowly over time and stepping on them, dropping them off the roof, setting them on fire, crushing them in the trash compactor, flushing them down the toilet, etc. It can take a while, but making others suffer is part of the fun. When you put this pair together, you get double the destruction in half the time. Uranus waking up could reduce the time to seconds. Possible events related to this shift include explosions, violent wind storms (not that we haven’t had plenty of those already), and other weather-related developments – all of which may increase as Mars approaches opposition to Uranus on Christmas Day. The week between Christmas and New Year’s could be difficult in many ways (more about that next week). At the very least, it’s fair to say that we can expect to see some surprises or sudden changes, or both. This applies to individuals as well as the collective. You likely know by now where the Uranus-Pluto square has been transiting your chart, and you probably have some idea of how it’s manifesting in your life. The absolutely maddening thing about Uranus is that it’s useless to speculate about what kind of surprise you might get, because whatever it might be isn’t yet in your sphere of awareness. In the meantime, all I can say is to cherish the ones you love, connect with your people, and resist the urge to spend. Rather than going overboard with holiday buying, be as conservative as possible. Hold something back for a rainy (or snowy) day. I do a lot of baking at the holidays, and I can tell you that a plate of homemade cookies is more appreciated than anything I could buy. I’ve been amazed by the reactions, but I finally got it last week after seeing a television commercial with a woman decorating “homemade” Christmas cookies that she baked with a packaged mix. Now that I don’t get. 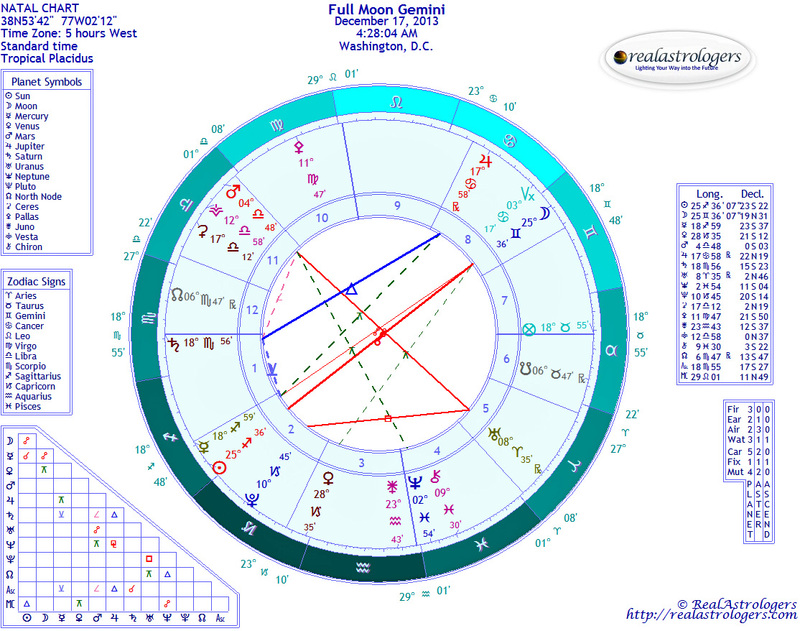 In the chart for the Full Moon in Gemini, you can see the T-square with Mars, Uranus, and Pluto just beginning to form. Those of us who are sensitive may start feeling jumpy again and probably exhausted, too. 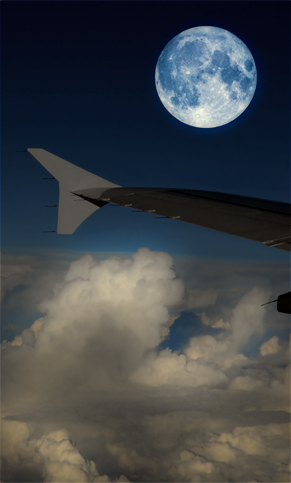 We had a break for a few weeks, and now we’re heading back into the turbulence. The good news is that if you’ve stuck, the extra jolt may push you out of a rut. With Mars in Libra, relationships are especially subject to some shifting – all the more so with Venus about to turn retrograde. In romantic partnerships and close friendships, we often don’t talk about what bothers us, thinking that it doesn’t matter or that we should be able to “get over it” and move on. Love isn’t supposed to be petty, jealous, selfish, unkind, and all that. Very few of us, though, can truly let go of these things. Eventually, resentment builds up and can turn to anger, and we can explode at the smallest trigger. By then, it’s difficult to talk it out, because there are so many buried feelings that it’s virtually impossible to go back to the source of the problem. Venus retrograde, Mars in Libra, and Mars retrograde in Libra in March, April, and May could help us get to the root. I just need to warn you that the process is work, it demands a lot of you, and it’s exhausting. But if you value your relationship, it’s worth the effort. You might get clues this week or maybe just a vague feeling or the seed of a new approach, and then events will unfold between now and next summer. Diplomatic ties also are relationships, and all of what I wrote above applies to countries, too. The budding relationship between the United States and Iran will continue to unfold under these planetary influences, and relations with other countries in the Middle East also will require adjusting. Saturday is Solstice Day, which many people celebrate as an alternative to the Christian holiday. For astrologers, it’s an important day in the year, when the Sun crosses one of the four cardinal points that mark the beginning of each new season (actually, I consider them to be the middle or height of the season, but that’s a story for another time). Here in the Northern Hemisphere, it’s the longest night of the year, which of course means that the light steadily begins to return at this time. 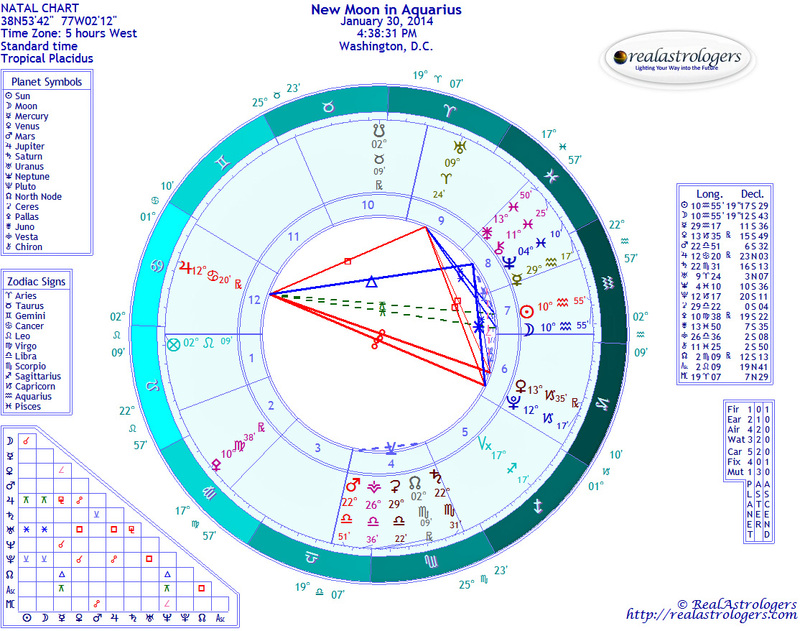 In the Capricorn ingress chart for the United States (set for 12:11:10 p.m. in Washington, D.C.; chart not shown), the Sun is close to the Midheaven, in a close square with the Ascendant at 2 degrees Aries. Chart ruler Mars is in Libra in the seventh house, which strongly suggests that foreign relations will be a dominant concern throughout the winter. Current relations, especially those on shaky ground, might break down altogether when Mars turns retrograde, but there will be a chance to rebuild them into connections that are more sustainable, just, and equal. Meanwhile, at home, there will be growing unrest. If and when it erupts, it will be promptly put down by the Powers That Be, not unlike what just happened in Kiev. It’s also possible that there will be nationwide mourning of some kind, possibly for a beloved leader. A few hours after the Sun enters Capricorn, Venus turns retrograde in the sign of the Seagoat. Financial concerns come into play now in a big way. Now that Congress has reached a budget deal, issues that stalled due to partisan infighting can get a second chance. One of the items on the president’s agenda is appropriating funds to repair the nation’s crumbling infrastructure – a fitting agenda item for Capricorn. Back in 2008, when Pluto entered Capricorn, I wrote about this national priority. As I mentioned above, many relationships also will go through some scrutiny while Venus is retrograde. Capricorn is a sign of duty and responsibility, so committed partnerships are likeliest to need an investment of time and effort. And while Venus retrograde periods are absolutely not recommended for weddings, it is a good time to explore whether you’re ready to make a commitment and to face your fears. I’ll have more on Venus and Mars in future forecasts. I want to spend to the rest of this one discussing comet ISON. ISON has been pronounced dead. Nothing is left from its encounter with the sun but a cloud of dust. It’s all but certain that this visitor came but once, only to die on its journey. In searching for what its “message” might be, we can look at major contacts it made before breaking up. First, it made a tight conjunction with Mars and Regulus in mid-October. As I wrote back then, astrologers have observed Regulus since ancient times to predict the future of the monarch. Regulus means “prince” or “little king” in Latin. This bright star, which is one of the four Royal Stars of Persia (also called the Four Guardians of Heaven), also is called Qalb al-Asad in Arabic or Cor Leonis in Latin, meaning “heart of the lion,” referring to its position in the constellation Leo. “Courage” and “encouragement” are from the same Latin root. We all can be more courageous by living from the heart, the true seat of the mind. Still, I believe this conjunction refers to a prominent political or military leader – Mars being the planet of war. ISON also conjoined Mercury and Saturn, although not as tightly as his contact with Mars and Regulus. Planet Mercury is named for the mythological messenger of the gods and in astrology rules communications. Saturn, meanwhile, is the Lord of Time. Before Pluto was discovered in 1930, astrologers considered Saturn as the planet of death. So there is something symbolic in ISON’s conjunction with Saturn just four days before its fateful encounter with the sun. Saturn also is the Lord of Karma and karmic lessons. The thing is, ISON wasn’t visible with the naked eye, so if there was a message, it likely wasn’t for the general population. That might discount obvious messages such as, “Wake up people, before you destroy the environment and blow up the planet.” A possible message might have to do with equality and justice, but I think it’s even deeper than that. The third and last contact ISON made before fragmenting was with the stars in the head of Scorpio, not far from where Scorpio and Ophiuchus meet. Master astrologer Melanie Reinhart wrote an intriguing analysis for The Mountain Astrologer‘s blog, with stunning graphics (thanks to Osk for sending the link). She wrote the piece before ISON broke up, though, so her interpretation needs some updating. What’s left of the comet is following its predicted path, but there must be some additional symbolism in its passage through Ophiuchus and Serpens Cauda – the head of the snake being held by the snake handler/healer – as a ghost. One last thought concerns the concept of cazimi in horary astrology. I don’t know if it applies here, but it’s interesting to contemplate the theory. Horary astrology is the art of prediction by casting a chart for the moment a question is asked or problem clarified. The rules for cazimi vary slightly, but the basic idea is that a planet is cazimi when it is in exact or very close conjunction with the Sun. 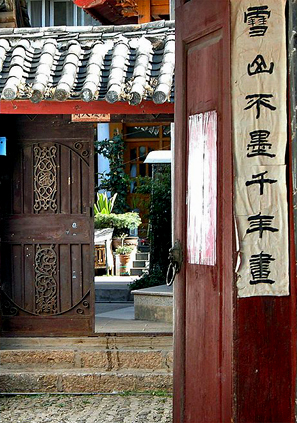 In an article in the current issue of The Mountain Astrologer, horary doyenne Deborah Houlding discusses the concept of cazimi and notes that while some astrologers in past centuries considered a planet to be strong in cazimi, others noted that it is similar to the human body undergoing detox – much weakened, but in a state that will lead to better health. At perihelion, ISON was conjunct the Sun and therefore could be said to be cazimi. Yet it emerged not in better health, but dead. My initial thoughts are that it may take death to heal some of the deepest wounds, especially those with which we came into this incarnation. Death, after all, is just a passage from one state to another. All of the healing work we’re doing now, individually and in groups, may not have its greatest effect in this lifetime but in future incarnations. I, for one, would be elated if I came in next time around without all the accumulated karmic baggage I brought with me on this trip. This entry was posted in Forecasts and tagged full moon in gemini, Sun in Capricorn, uranus direct, Venus retrograde, Winter Solstice on December 14, 2013 by Pat. Another big week is ahead of us, with Jupiter entering Gemini and the Uranus-Pluto square close to exact – “close enough for government work,” as they say. And that’s where we’re likeliest to see evidence of the Uranus-Pluto contact. Ray Merriman lays it out in his weekly forecast, so I’ll refer you to him for how the details (Gemini) fit into the big picture (Jupiter). We’re also in for a major cultural shift similar to what we experienced in the mid-1960s, when Uranus and Pluto were conjunct. We even look the part, with the hippie look back in fashion. Maxi dresses, headbands, love beads, and fringed bags are all the rage again. Right after Jupiter enters Gemini on Monday, Mercury squares Uranus and opposes Pluto. The Messenger brings news, and it’s likely to be big and a little scary. Not that we haven’t seen the handwriting on the wall for more than a year, with the Occupy Movement, Arab spring, turbulence in the eurozone, and the growing threat of global economic collapse. However, Mercury in Cancer implies a more fearful reaction to what’s happening and what may happen in the future. Ruled by the Moon, Cancer’s moods are up one minute and down the next. That tells me that the public mood is going to fluctuate wildly over the next couple of weeks in response to news generated by government and financial institutions. Communications and relationships continue to be a major theme, and it’s where we have the biggest opportunities to evolve our consciousness. We’re still working through some old issues, some of which may extend “outside time,” which is my way of saying “past lives.” Indeed, more people may become aware of this concept and understand that those lives you think are in the “past” are happening on many levels, all at once. It helps our limited human brain to think of them in order, chronologically, but that’s not the reality. As we open up to the real nature of time, many of us are disoriented and feel “spacey,” like we’re not all here. If you feel like this, don’t fight it, just observe. Keep notes. Record your dreams. And if you need extra sleep, give in to it. Over the past two years, I’ve had a significant increase in clients coming to me about relationships with people they recognize from a “past life.” These meetings often are the trigger that starts removing the barrier in our consciousness limiting our awareness to one place in space and time. To function “normally,” we need these boundaries. However, humanity has reached a crisis stage that defies solutions within our limited awareness. Even your personal relationships may have reached a point at which both sides are so polarized that you can’t seem to “get it together.” Expanding our concept of time will open us up to new possibilities. And if your experience is anything like mine, you might realize that some of what you needed to know was right there all along, but you just couldn’t see it. It’s a lot like being a dark or dimly lit room and then suddenly turning on the lights. You don’t see anything that wasn’t already there. Venus remains retrograde in Gemini until June 27, while Saturn in Venus-ruled Libra – the sign of relationships – comes out of retrograde just two days earlier. In other words, they’ll both be stationed, or “stopped,” at the same time, like pausing a movie. I believe this will allow us a chance to understand our relationships and to see them for what they are. Part of that equation will be seeing ourselves more clearly and understanding how we connect. 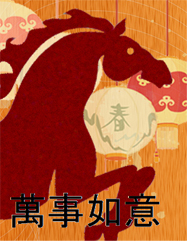 I’ve anticipated for more than a year that we’d have some kind of mass awakening in June 2012, given the combination of astrological aspects this month. And while the Uranus-Pluto square is huge and strongly suggests global social and cultural upheaval, the retrograde cycle of Venus in Gemini combined with eclipses and a Venus transit has far-reaching implications on a more subtle level. That’s why I made the bold statement in last week’s forecast that 2012 will be history by December 21, the presumed end of the Mayan Calendar. Which brings me to another point. On Friday, I was explaining all of the foregoing to a friend who’s not much into astrology, and she asked what you do with all of this information. Excellent question. When we know the source of certain conflicts or understand the astrological energies underlying the events in our lives, we can make better choices about how to act or react. In some cases, we might have more compassion. In others, we might decide to risk conflict by provoking a confrontation. Or we may decide to remain patient a bit longer while people and relationships unfold to a point at which solutions will be easier to find. Getting back to this week, Mercury trines Chiron on Tuesday, just as Chiron is turning retrograde. Again, when planets shift from direct to retrograde and back again, they “stand still” for a period, signifying a sort of freeze frame that allows us to get a good look at what’s going on. For me, Chiron is conjunct my Moon by exact degree, so when he turns retrograde and then is aspected by Mercury, not only will I get a clearer idea of how this life-changing transit is affecting me, but I’ll be able to talk about it in a way that facilitates healing. The Sun’s trine with Saturn on Wednesday is a potential trigger aspect for events related to last week’s lunar eclipse. Don’t be surprised by an initial confrontation or argument. Sticking with it and working through your differences will be rewarded, likely by renewed commitment. The Venus-Chiron square on Saturday is another potential healing aspect that requires addressing painful memories and old hurts. On Sunday, Father’s Day, the Moon conjoins Jupiter and Venus. An honest, heart-to-heart talk with Dad over a beer will be the best gift you can give, and it could last you both a lifetime … or longer. If you’d like to know more about what’s coming in June, I highly recommend the monthly forecast by Rick Levine and Jeff Jawer. It’s one of their best ever, so be sure to listen to the whole thing! And do check out Ray Merriman. All together, you’ll get a broad picture that helps you make the most of the momentous times in which we’re living. This entry was posted in Forecasts and tagged Jupiter in Gemini, Mercury in Cancer, Sagittarius-Gemini eclipses, Uranus-Pluto square, Venus retrograde, Venus transits on June 10, 2012 by Pat.